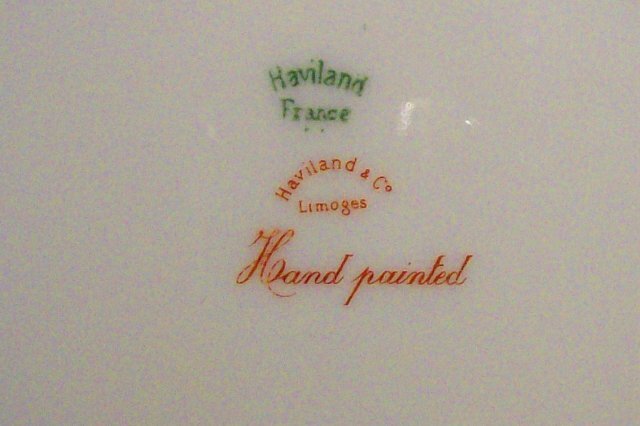 Hand-painted Haviland & Co. plate, or wall plaque, from Limoges, France. Signed by artist "Berton", and decorated at the factory. 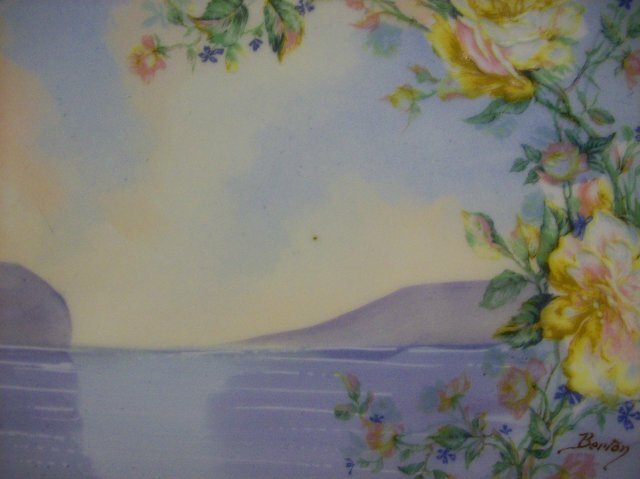 Mountain and lake scenery with yellow and pink rose accents. Measures 8.75"d. Dates from between 1893 and 1930. A closer examination of the artist would narrow down the date. Very nice condition, no chips or cracks, just some minor flaws in the glaze, such as air bubbles. There is one small (pinhead size) spot of brown color in the middle of the plate as shown. Intact gold rim. Inglenook Antiques...Established 1989. 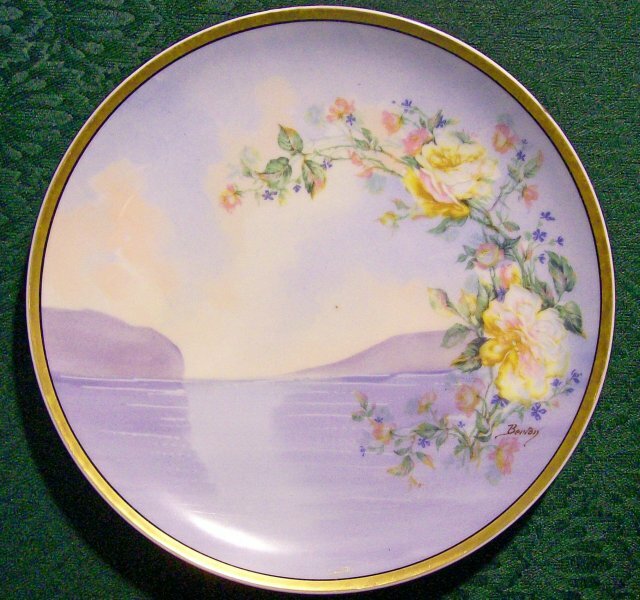 Items Similar To "Haviland Limoges Porcelain Plate Lake & Mountain Scene Signed "Be..."